The William S. Neal Award recognizes a NEACAC member with at least five, and not more than fifteen, years of experience who works in the field of college admission and counseling. William S. Neal (1936-2004) was a quintessential New Englander whose warm, steadfast leadership and guidance touched the lives of many students, families, and counselors during his thirty-two years in the profession, including twenty-four years as the chief admission officer at Norwich University and Elmira College. Bill served in many capacities of leadership on the regional and national levels, but was perhaps most familiar at our regional college fairs and during the Annual Meeting and Conference where he mentored new college admission and high school counselors throughout New England. The William S. Neal Award passes Bill’s torch to a NEACAC member who has been engaged in association activities and who has shown particular commitment to students and the profession, with promise for continued service and leadership. 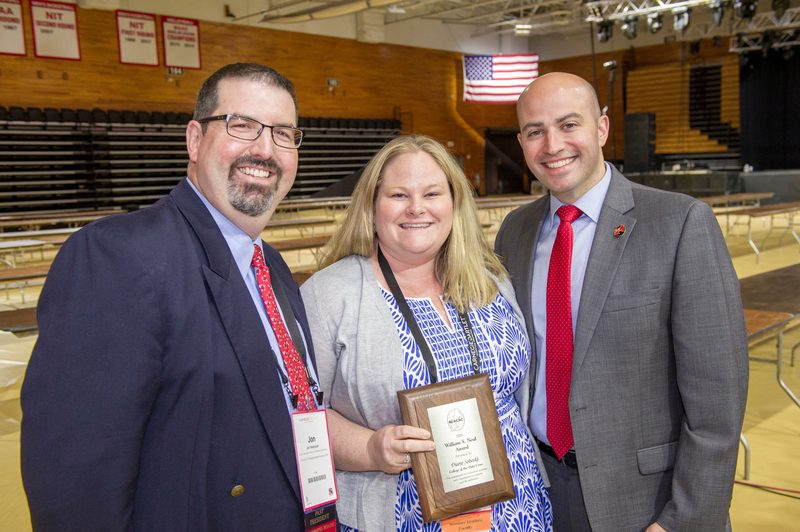 The 2018 William S. Neal Award was presented to Diane Soboski - Associate Director of Admissions, College of the Holy Cross, Worcester, MA. She was presented the award at the Super Conference at Marist College in Poughkeepsie, NY in June 2018. Previous William S. Neal Award Recipients are listed here.